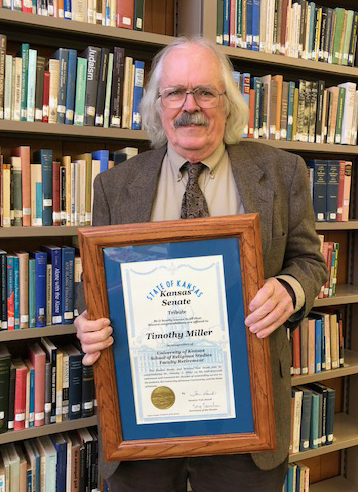 Dr. Timothy Miller, professor of religious studies, was recently honored by the Kansas State Senate for outstanding service to the state of Kansas. Dr. Miller was recognized by the senate for his forty years of dedicated teaching, research, and service to the University of Kansas, and for the countless lives he has enriched through his teaching and scholarship. 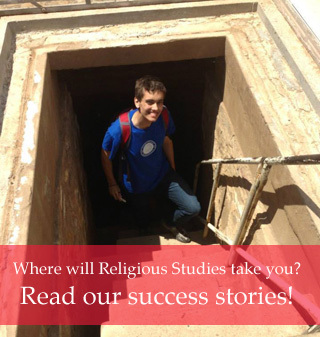 Dr. Miller will retire and become professor emeritus of religious studies after the spring 2019 semester. Congratulations, Dr. Miller!